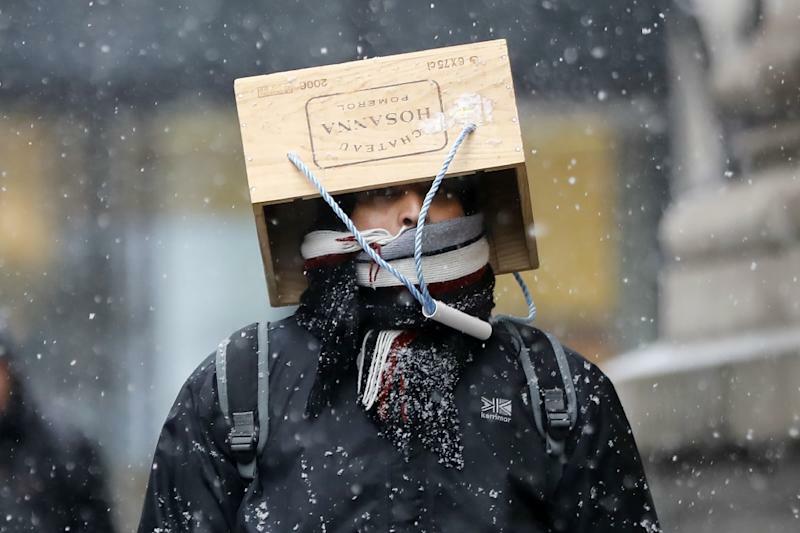 Paris (AFP) - Europe's deep freeze, which has cost more than 60 lives over the past week, continued to wreak havoc early Saturday as the shivering continent awaited a sliver of weekend respite from a brutal Siberian cold front. After heavy snowfall and deadly blizzards lashed Europe, conditions marginally improved in some regions on Friday -- although temperatures generally remained sub-zero, forcing more major delays on roads, railways and at airports. But Britain's Met Office said the Arctic temperatures were set to rise. "After the extreme weather many of us have seen recently many will see conditions ease a little through the next few days," it said. 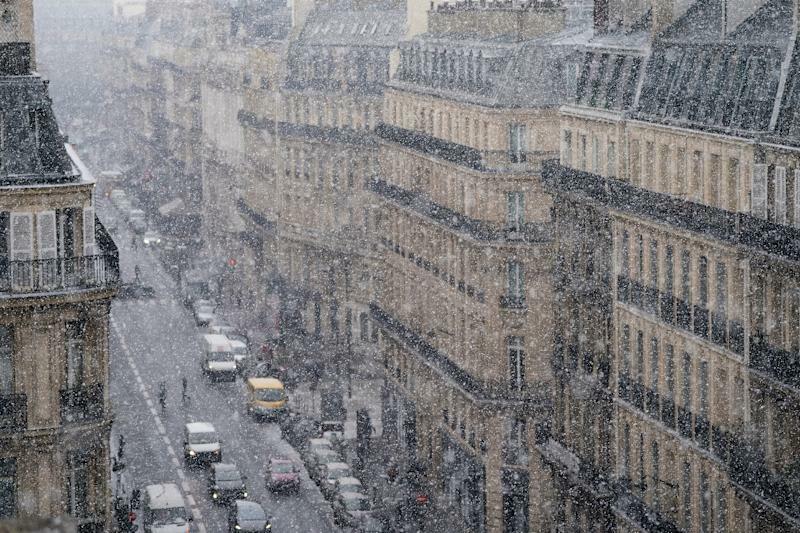 In France, the forecast this weekend was for rain rather than the kind of heavy snowfall that has blanketed vast tracts of Europe. The deadly chill has been caused by weather blowing in from Siberia. British media have dubbed the front "the Beast from the East," while the Dutch have gone for the "Siberian Bear" and the Swedes plumped for the "Snow Cannon". 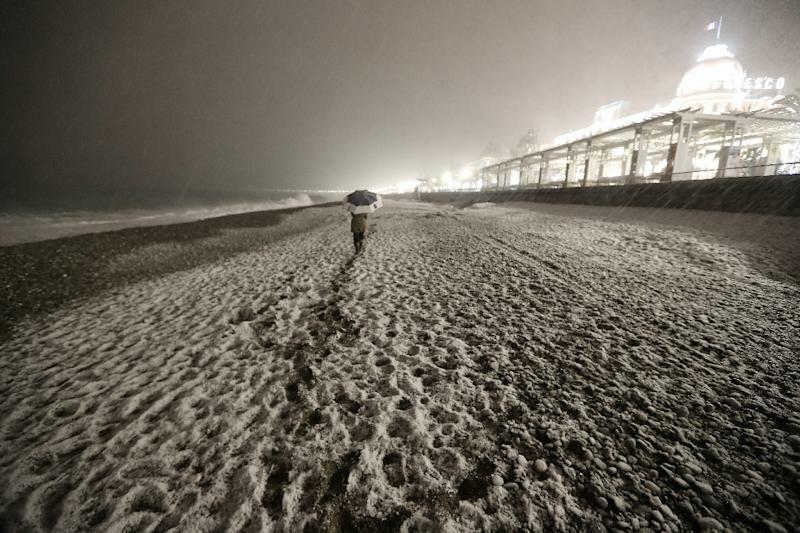 Over the past week, the freezing conditions have claimed more than 60 lives, according to an AFP toll, including 23 in Poland, seven in Slovakia, six in the Czech Republic and five in Lithuania. A 41-year-old Libyan man was found dead in an empty train carriage in the western French town of Saintes. Police suspect he died of hypothermia, but could not be sure. In Austria meanwhile, five migrants abandoned by smugglers were rescued from a motorway near the city of Graz on Friday, some of them walking barefoot in sub-zero temperatures, according to police. Switzerland has seen the mercury plummet to records of up to minus 40 degrees Celsius (minus 40 Fahrenheit) in the ongoing blizzard, which has even covered usually balmy Mediterranean beaches with a blanket of snow. Geneva's busy airport announced it had re-opened shortly after midday Friday "despite the unfavourable meteorological conditions", having warned earlier it faced staying shut for a second consecutive day as snowstorms continued to lash the Swiss city. Airport authorities warned, however, of further "delays and cancellations". The cold threw a spanner in the works of British Prime Minister Theresa May's plans to give a speech on Brexit in the northeastern city of Newcastle. May elected to stay put in London given the transport mayhem, which saw motorists stuck in their cars around Manchester in the northwest and troops deployed overnight in Hampshire in the deep south to aid other drivers battling fresh snowfall and icy gales. Also having to change their plans were Andrew Waring and his wife Daniella, who gave birth to baby daughter Sienna on the side of a snowbound main road outside the northeastern town of Darlington. Waring delivered the child on the roadside after the couple realised they would not reach the hospital in time, with paramedics dubbing Sienna the #A66snowbaby after the road where she emerged into the world. In Ireland, housing minister Eoghan Murphy tweeted that "blizzard conditions have now passed", advising people they could now venture outdoors while still exercising "extreme caution". Even so, Dublin airport remained closed until at least Saturday. Some 24,000 people remained without electricity in Ireland Friday morning. The country battled to get over the worst of a combination of the cold blast and Storm Emma, which has also been battering western Europe and was doing its worst over Britain. Italy was also still stuck in sub-zero temperatures with a number of major roads blocked because of snow and black ice as forecasters warned the country's northern and central regions would see little immediate improvement. Many schools remained closed and local authorities told people to remain indoors unless they urgently needed to travel. Elsewhere in Europe, Serbia and Croatia saw some improvement but two people died overnight in Poland as temperatures plunged to a low of -27 Celsius (-16.6 Fahrenheit). They were set to remain as low as -17 Celsius across the day in some areas even as forecasters spoke of a relative weekend thaw. Folldal, a small village in central Norway, saw a record European low for recent days of -42 Celsius during the night. Even so, residents used to harsh conditions were sanguine. "Life is generally ongoing," mayor Hilde Frankmo Tveren quipped to broadcaster TV2.